Yesterday, July 10th, marked the start of the annual Ratha Yatra Festival of Lord Jagannatha in Jagannath Puri. Millions of pilgrims visit Jagannath Puri to participate in the Ratha Yatra car festival of Lord Jagannatha. Lord Jagannatha, along with His brother Baladeva and sister Subhadra, travel in gigantic chariots and go to the Gundicha Temple. The previous day of Ratha Yatra (i.e. July 09, 2013) devotees assemble in Gundicha Temple and clean the temple. This event is called as Gundicha Marjana. Lord Jagannath stays in Gundicha temple for a week and then comes back to His own temple. 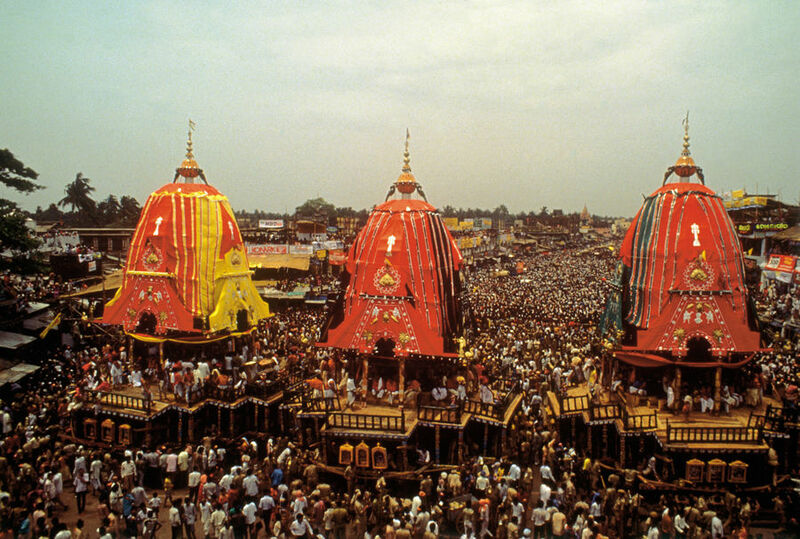 This return journey is called Bahuda Ratha Yatra (July 18, 2013). In 1967, Srila Prabhupada inaugurated the Ratha Yatra Festival, the Festival of the Chariots, in western countries and thanks to him, today people all over the world observe this festival. Every summer in dozens of cities across the globe, Ratha-yatra – the Festival of the Chariots – blossoms like a multicolored lotus flower. Red, yellow, and green silk canopies tower above the chariots and sway serenely. Their silver decorations glitter in the sunlight. Colossal wooden wheels creak on their axles as singing celebrants haul the ancient vehicles along the parade route, tugging on thick hawsers. By their spirited service they invoke the mercy of Jagannatha, the Lord of the Universe. Bhaktivinoda Thakura, a devotee of Lord Jagannatha during the 18th century envisioned that the matchless splendor of spiritual truth of India will soon spread across the western world. 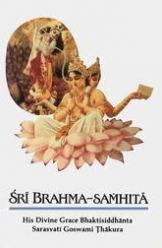 This prophecy was fulfilled by the Thakura’s grand disciple His Divine Grace A.C. Bhaktivedanta Swami Prabhupada, who founded the International Society for Krishna Consciousness (ISKCON) in New York City in the year 1965. Srila Prabhupada had the vision to establish ancient India’s Krishna conscious culture around the world on its own terms – not watered down, but as it is. As the movement slowly gained popularity, in the summer of 1967, Srila Prabhupada introduced the first Ratha-yatra in the West. The city of San Francisco saw the grand chariot festival in its original glory. Ratha Yatra is originally celebrated in Jagannatha Puri to commemorate the pastime of an attempt by the gopis to bring Krishna back to Vrindavana on a chariot. In the years to come, Srila Prabhupada introduced the Ratha Yatra in the major cities of America and Europe. There was no tradition of Deity worship in Western countries, only a little appreciation for Indian spiritualism. But the happy, melodious chanting, the delicious free feasts, the dancing devotees, the big – wheeled, colorful, silk – topped carts, and smiling Lord Jagannatha, Balarama, and Subhadra – the pageantry of it all – have appealed to the fun – loving, parade-going, peace- and God – seeking spirit that existed in people worldwide. Thanks to Srila Prabhupada, people of all ethnic and religious backgrounds now celebrate Ratha-yatra in cities all over the world.